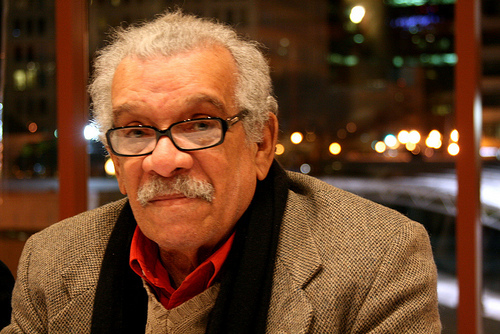 Derek Walcott is the recipient of the 1992 Nobel Prize for Literature. Born in Castries, Saint Lucia, the West Indies, on January 23, 1930, he published his first poem, "1944" when he was fourteen years old, and consisted of 44 lines of blank verse. By the age of nineteen, Walcott had self published two volumes of poetry.. He later attended the University of the West Indies, having received a Colonial Development and Welfare scholarship. In 1957, he was awarded a fellowship by the Rockefeller Foundation to study the American theater. Since then, he has published numerous collections of poetry, most recently White Egrets (Farrar, Straus & Giroux, 2010). "Love After Love" by Derek Walcott is about something that's become very pop-culturish, loving yourself after a break-up. It is beautifully written and it has an affirming quality without being sentimental. It is about meeting 'self'. Everyone has a self that he presents to the world, his persona I guess, but he has also ' a true self'. This real self lies beneath the masks that we put on to lead our public life. In the hectic humdrum life we lead , we forget that these masks that we put on for other people are not our true versions at all. This poem is about rediscovering our true selves. When we finally encounter our true selves in all its nakedness, we will greet ourselves with elation. it is only then that we can truly be ourselves. We can sit and feast on our lives, look with love admiration and without judgment on our lives, on ourselves. Because when we meet our true self , we go past ego, we can just simply Be. The poem inspires the lost souls to regain themselves, for life is not over. It is a poem that calls for self-appreciation over loving another. The first lines themselves should not be interpreted in a completely literal way, after all, the idea that a person would invite their own carbon copy over for dinner is not only odd, but disturbingly creepy. Instead, these lines should be read as full of metaphors. For instance, the "door" that a person might greet themselves at might be the door to their soul, or the door to their mind, rather than a literal front door. It could also be a door to new beginnings, following the traditional saying: "when one door closes, another one opens." The "mirror" that a person owns represents not only a literal mirror (staring and appreciating the mirror image), but also the "mirror" to a person's soul. In addition, mirrors can be two-sided, and so for those who stare too long at one side (or one "love"), Walcott beckons to look into the other, thus giving proper attention not only to one's self but to another if possible. Moreover, appreciating the self more than others can in some senses create a two-way mirror between a person and their own image, enhancing the appreciation even further. Finally, it could be that a person used to stand in the way of one's "image", but now that they are "out of the picture" (to sprout another overused phrase), the "mirror" is clearer than ever. In the second stanza, Walcott continues this fantasy of dining with one's own self: "and say, sit here. Eat. / You will love again the stranger who was your self. / Give wine. Give bread. Give back your heart / to itself, to the stranger who has loved you" (6-9). The mention of wine and bread at this dinner is important because they can be viewed in a religious sense. Since the bread and wine can represent the body and blood of Jesus, Walcott's use of them here can be read as fulfilling one's self. That is, Walcott encourages these dishes at the dinner with one's self, because they are imbued by Jesus, they are spiritually fulfilling, and thus the imbiber is fulfilling themselves. In addition, Walcott's emphasis on the "stranger who was" warns readers that loving another can break down the appreciation a person has for themselves, and thus the title becomes a bit clearer. With the idea of "Love after Love", this piece is just as much about forgetting a previous love, or "getting over" them, as it about loving one's self (as a method of forgetting and as another form of love). The fourth and fifth stanzas capitalize on this idea: "Take down the love letters from the bookshelf, / the photographs, the desperate notes, / peel your own image from the mirror" (12-14). Walcott urges readers to not only figuratively forget previous flames (by devoting time to one's self), but to also literally go through the process of forgetting a past relationship by removing memories or symbols of the person (notes and photographs). Walcott then states that readers are to symbolically re-capture their lost "stranger" (self) from the "mirror" of the previous lines. Walcott finishes his piece by declaring that it is best to: "Sit. Feast on your life" (15). 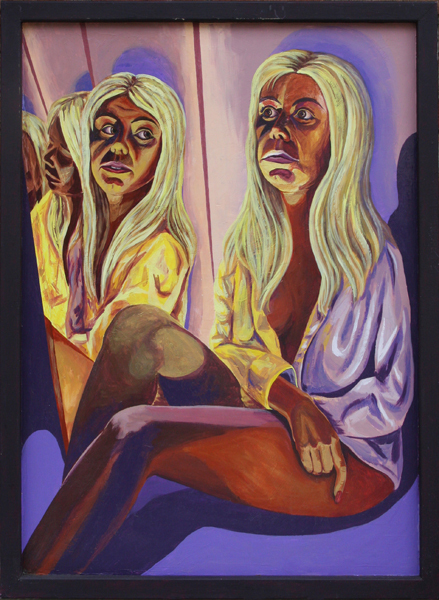 The imagery of the self for Walcott is not only a useful tool for overcoming past relationships, but it is an actual method of sustenance. Perhaps this poem is an expression of Walcott's lost love and recovery. It expresses his belief that people look for affection outside of themselves for so long that they forget that true solace can be found by turning to oneself and having faith in oneself. In his opinion, it is vital that we look within ourselves to find contentment, otherwise life will be filled with hurt and grief. It could, of course, express also the post-colonial experience of rediscovering one's cultural identity. So many of us have put our lives on the backburner and even when there no longer is any need to do so, continue to exist in that mode. Some will go through the elation of 'greeting' themselves again. Like all good poetry, this one spans the personal and impersonal; the finite and the infinite. Along with the spiritual sustenance from bread and wine, Walcott views the self as fulfillment and a proper method to regain vitality after a love is lost. Overall, Walcott has a truly inspirational piece here, offering not only benefits for the "stranger" who is forgotten, but also for the one who has forgotten the stranger. Finally it is about our resiliency to find ourselves after being lost or in great pain and the joy of knowing you are once again yourself.